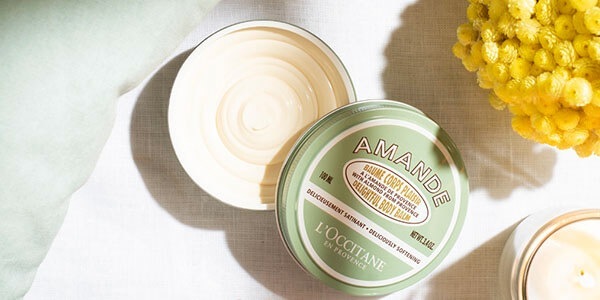 Formulated with a perfect blend of almond butter and almond oil from Provence, the Almond Delightful Body Balm leaves skin feeling nourished, more supple and incredibly soft, while its delicious, subtle scent immerses you in a feeling of absolute well-being. Get the Almond Delightful Body Balm for only €18.50 instead of €28.50 witch each €35 purchase. 2. When your order is €35 or more the Almond Delightful Body Balm, 100 ml will become available at the special price of €18.50 instead of €28.50. 3. Add the Almond Delightful Body Balm, 100 ml to your bag by clicking on it. 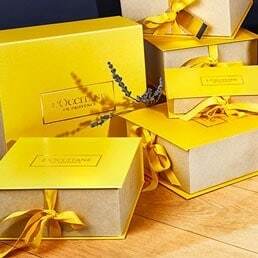 Valid from 28 March to 24 April 2019 in L’OCCITANE boutiques and online at www.loccitane.si. Cannot be combined with any other promotion, gift or discount. Not valid for corporate bodies.